The hyperlinks to our elementary Learning Maps are listed above. The teacher added resources are in CCS shared Google drive. The following videos have been created by members of our Closing the Achievement Gap cadre. These videos showcase their new learning of co-teaching models and ways they have been able to implement most effectively for the time they co-teach together. Our district is very proud of their growth mindsets and novice reduction efforts! They are making a difference! Station teaching: Students were working with various types of propaganda and rhetorical appeals. Students would switch groups to analyzing multiple types of propaganda/rhetorical appeals used in our everyday life. Students are in stations and teachers are rotating and sharing responsibilities in the classroom. 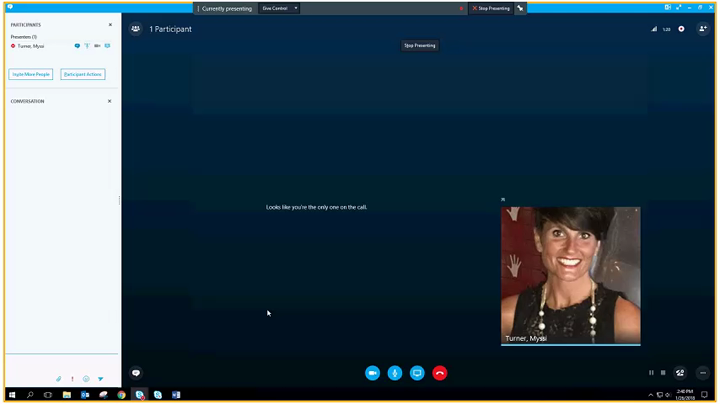 One speak/one add: This video highlights the use of the One Speak One Add co-teaching model. Teachers and students are discussing and brainstorming open ended questions to ask an interviewee. Students then turn these answers into an interview narrative. Teachers are sharing the responsibility of explaining content to students and getting student responses. 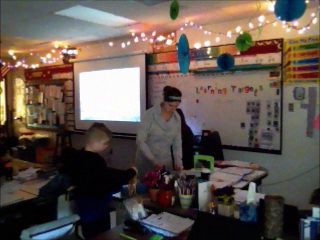 Mrs. Kirst and Mrs. Wieland's Fourth Grade: This video highlights parallel co-teaching using formative evidence to pull small groups. 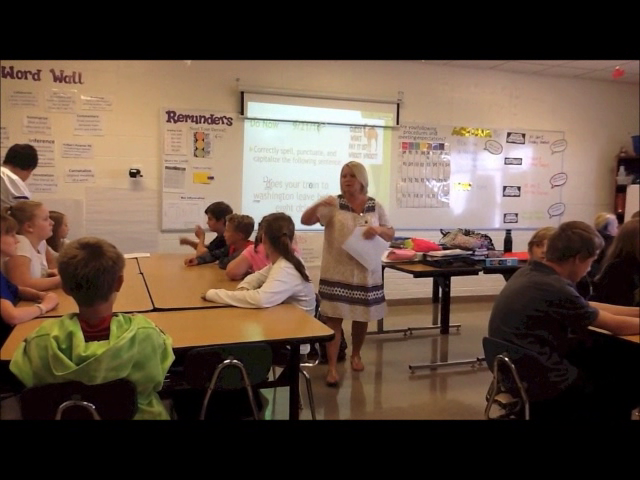 Mrs. Tewes and Mrs. McConnachie's Fifth Grade: This video highlights the co-teaching strategies of team teaching and parallel teaching. This was a writing lesson designed to help students use a particular strategy to assist in the development of their writing. 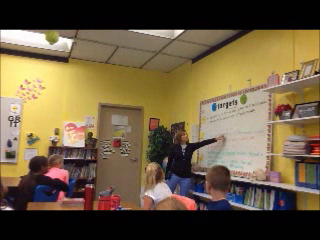 Team Teaching: This is a third grade Everyday Math lesson on Polygons, Lesson 4.4. The first part of the video co-teachers are using the Station Model for language review regarding sentence structure and phrases/clauses. The students were preparing for their upcoming summative assessment. The second part of the video co-teachers are using the Alternative Teaching Model to provide remediation for struggling students (hallway) and grade-level instruction (classroom) for students who have almost/already have mastered the learning target of identifying text structure. 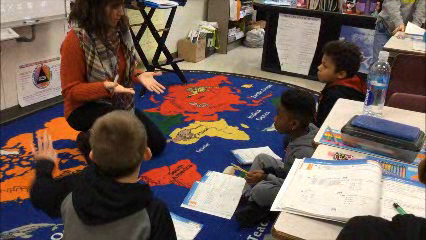 Ms. Corman and Ms. Haywood worked in a combination of co-teaching models in this clip: parallel and station. 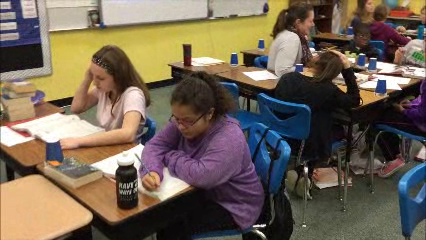 Students were grouped based on a previous reading test that was completed the week prior. The parallel stations were teacher-led and worked on remediation with specific reading standards. The independent group (station) worked on upcoming reading standards since they had shown mastery on the previous reading test. The parallel groups read a story and answered multiple choice as well as open response questions with teacher models using chart paper on the board. The independent group read a story, worked on literary element questions, then picked an article/story of their choice from Scope Magazine to read and create an objective summary.